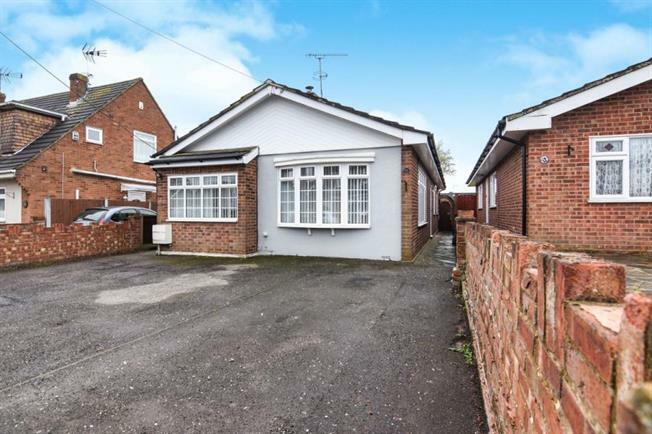 3 Bedroom Detached Bungalow For Sale in Hockley for £355,000. Detached Bungalow offering spacious accommodation throughout, modern fitted kitchen with separate dining room, double aspect lounge, south facing rear garden/ Three good size bedrooms. Family bathroom, driveway proving plenty of off street parking. The bungalow also benefits from solar panels which make this a very energy efficient property to own. Hullbridge offers a range of day to day amenities whereas the nearby towns of Hockley, Wickford and Rayleigh offer a more extensive range of shops, schools and social facilities. Nearby mainline stations can be found at Wickford, Rayleigh and a branch line at Battlesbridge.